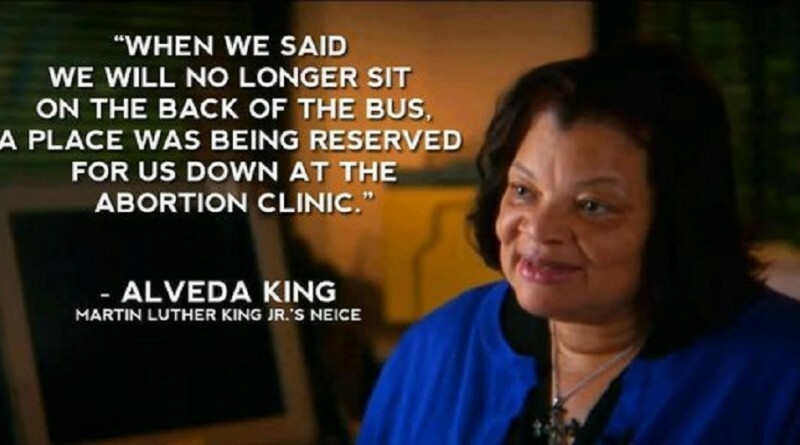 Alveda King: How Can MLK’s Dream Survive if the Unborn are not Protected? Today is the 48th anniversary of the assassination of the Rev. Dr. Martin Luther King Jr. The civil rights leader was in Memphis to support a sanitation workers’ strike when he was shot in the neck by a sniper as he stood on the second floor balcony of the Lorraine Motel. He was 39 years old. Evangelist Alveda King is Martin Luther King’s niece and has devoted her life to an often overlooked aspect of the civil rights movement. As director of Civil Rights for the Unborn, the African-American outreach of Priests for Life, she advocates for the lives of the most defenseless victims, children in the womb. Father Frank Pavone, National Director of Priests for Life, said that just as Martin Luther King gave his life for the civil rights movement, pro-lifers have to be willing to do the same for the one million babies lost every year to abortion in the U.S.